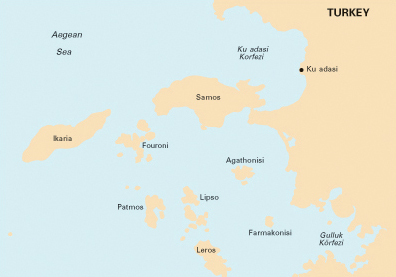 The Dodecanese - Δωδεκάνησα (Twelve Islands) are located off the south-west coast of Asia Minor. 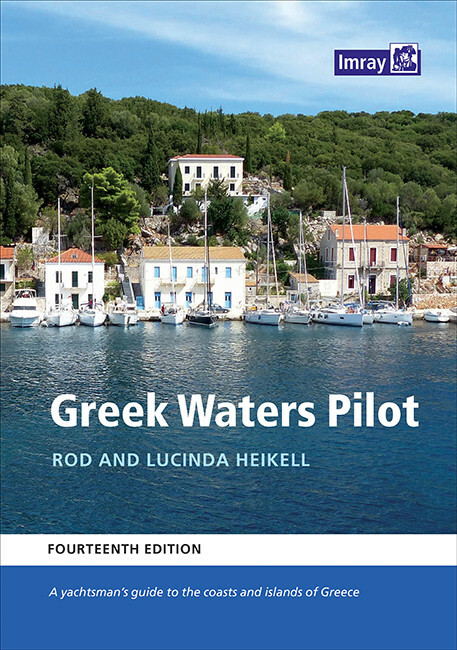 It includes the 14 larger islands of Lipsi, Patmos, Leros, Kalymnos, Kos, Astypalea, Nisyros, Symi, Tilos, Rhodes, Khalki, Karpathos and Kasos, together with some 40 smaller islets and rocks. Usually yacht charter companies have their bases in either Kos or Rhodes. Keep in mind that the northerly winds do influence any itinerary and that a one-way charter from Kos to Rhodes should certainly be considered. 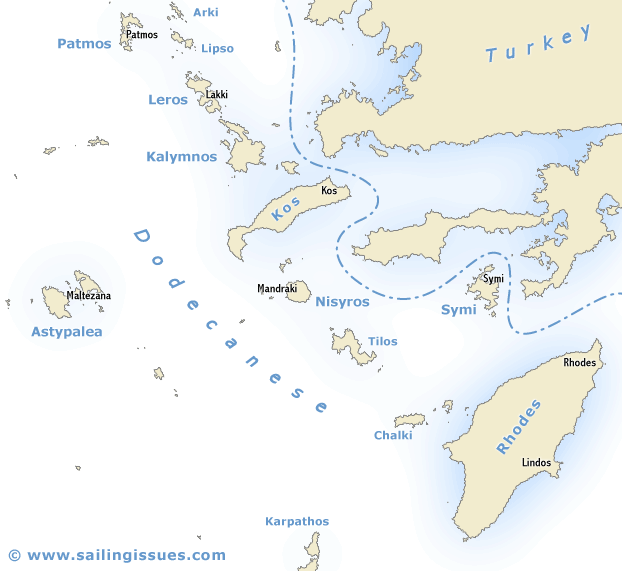 Other charter bases in the area are Samos (Pythagorion port) to the north and Paros (Paroikia port) to the west. 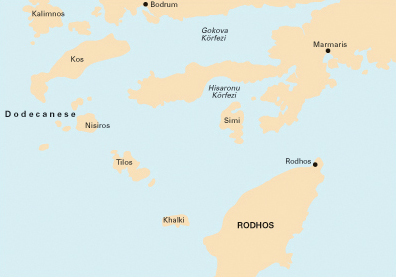 With the exception of Rhodes, which belongs culturally to Greece but geologically to the mainland of Anatolia, the islands are arid and largely barren. Their inhabitants live by farming, sponge-fishing (the Dodecanese forms the base of the Greek sponge-fishing fleet), but increasingly, the tourist trade. The charts should not be used for navigational purposes. Neither in Greek or in Roman times was the Dodecanese a separate political entity. It was an administrative region of the Byzantine Empire, and it was only when the islands came under Turkish rule in the 16th century that they were given extensive rights of self-government in domestic affairs and gained a common political status. In 1912 most of the islands were occupied by Italy as a counter-measure to the Turkish occupation of Libya. Under the Treaty of Lausanne in 1923 Turkey formally ceded the whole of the Dodecanese to Italy. After being occupied by German forces during the Second World War the islands were reunited with Greece in 1947.